Room with private separate bathroom. 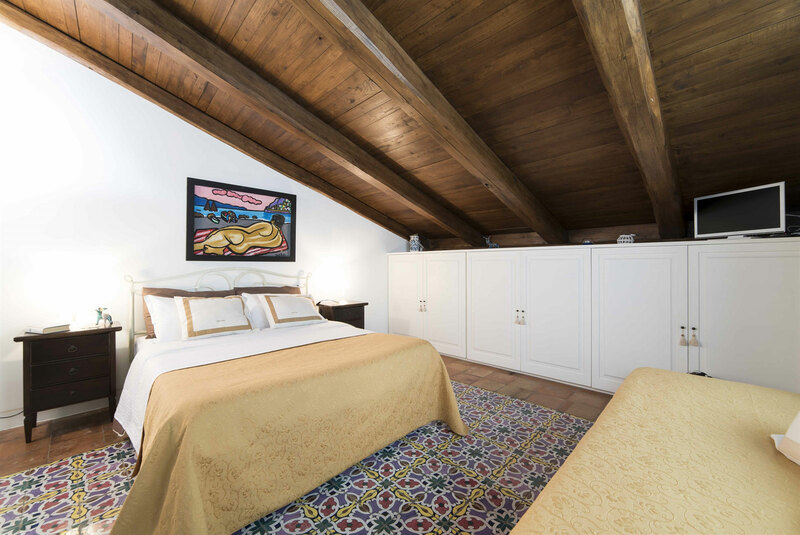 This room features a 19th century majolica floor with traditional colours of our region. The rooms does not have a scenic view. The private bathroom is located opposite the room and is decorated with ancient Vietri tiles depicting marine scenery/landscapes and is equipped with a large jacuzzi shower.